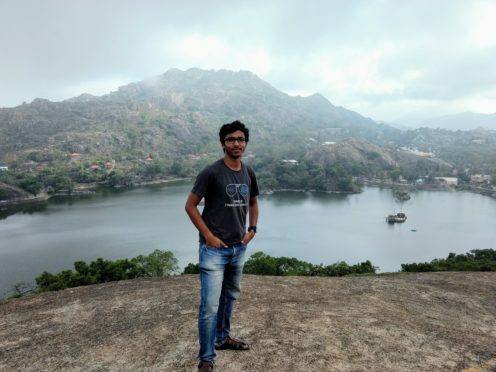 About the Author: Nalluri Meher Venkatesh is pursuing metallurgical engineering from IIT BHU, Varanasi. He did a training in Python programming from Internshala Trainings and began his career in data analysis. It was a bright sunny day when I enrolled for Programming with Python on Internshala Trainings and took the first step towards making a career in data analytics. I was always allured by data, and analysing data, drawing conclusions from it, and making data-driven decisions is what I had dreamed of doing all along. Before I talk about my experience of learning Python, let’s go a month back when I was on a lookout for a Python training. One of my friends came to meet me and had a wicked grin on his face as if he had done something super productive in the summer (of course, he had!). He told me that he had completed two trainings viz. Advance Excel and Programming with Python from Internshala Trainings to lay a foundation in the field of analytics. He suggested that I enroll in their Python training, so I went through the FAQs and the introductory video showing the training structure. There were no pre-requisites for the training, so I signed up for it. The training started with the basics of Python – its features, syntaxes, and various data types such as numeric, string, dictionary, etc. Next, I learnt how to write programs in Python using conditionals, loops, and functions; I found this particularly easy and the syntax were simpler than those of other programming languages. There was a module on object-oriented programming in which I learnt about inheritance in particular and to create classes and objects along with defining functions in a class. Then, I learnt about relational databases and the operations that one can perform on it using SQLite. I created a few databases for practice, stored dummy data in them, and accessed this data using SQLite. I also learnt how to make a table, add data to it, and retrieve the data as and when required. In the next module, I developed a graphical user interface for a calculator using PyQt and learnt about various widgets and menus along with executing GUI applications. All the topics in the training were explained aesthetically through animations and a voiceover that kept me hooked to the screen. There were assignments and a short MCQ quiz at the end of every module to evaluate one’s grasp of a particular topic. Internshala also provided tremendous support throughout the training with their live chat option and the Q&A forum where students can post their doubts and get a solution within a day. I thoroughly enjoyed the learning process and was given a training completion certificate after taking the final test. After completing the training, I set out to find a way to exploit the knowledge I had gained. That’s when I came across an update about an opportunity at a startup named UdnKhatola through my college’s incubation cell. I applied for the data analysis internship and got shortlisted for it. Divyanshu Kashyap, the co-founder of UdnKhatola, interviewed me for the internship and asked various questions regarding Python programming. There were also a few generic questions such as ‘Tell me about yourself’, ‘What do you know about UdnKhatola’, ‘How would you rate your programming skills in Python?’, ‘Why do you want to make a career in Data Analytics?’, etc. A few days later, I got an email from them mentioning that I was hired as a data analysis intern. The startup worked on a proximity-based advertising system wherein they leverage vehicles such as autos and buses to advertise locals shops and restaurants by playing a video-ad on an Android tablet installed in these vehicles. My responsibility there was to analyse the number of times the ads of a particular advertiser played, number of vehicles it played on, number of times it played during the course of a vehicle’s journey, and time spent by each vehicle in a particular area. After analysing this data, I extracted the inferences and useful information that the marketing team could use to make decisions about the areas they can tap for getting more advertisers, increasing the number of screens, etc. The SQL queries I learnt during the training proved to be particularly helpful throughout my internship and made it one hell of an experience. Inspired by Venkatesh’s review of Internshala’s Programming with Python training? Take a step forward yourself towards making a career in data science and enroll in Internshala Programming with Python Training at an additional discount of 10%. How did you enroll for the course? How much time it takes to learn it completely? Btw, awesome article and thanks in advance.